Though Shaded Canvas is fiction, throughout the novel Isis I wields bold brushstrokes of advocacy for awareness and needed social change. Isis I lives part of the year in the Oakland/San Francisco Bay Area and the other part of the year in Atlanta, Georgia. A passionate traveler, Isis I has spent the last two decades in an all-embracing, cultural adventure throughout Africa. She was in Johannesburg during the celebration of Nelson Mandela’s inauguration and then continued her trek north to Egypt. There she visited the Great Pyramids of Giza as well as the museums in Luxor, home of the Royal Mummies. Isis I attended the opening ceremony of The Great Man Made River in Libya. She also has added the continents of South America, Europe and Asia to her extensive travel portfolio. Though Isis I has experienced such international charm and beauty, she nevertheless sings praises that there is no place more wonderful than the United States of America. Daniel D. Thomas is what some may call the new age Renaissance man. He found his talent of writing at a young age and has mixed his passion for it with an adventurous life, traveling the world and dabbling in many things; including athletics, real-estate, music, art, business, and of course writing. Daniel has a Bachelors of Arts degree in Philosophy from Sacred Heart University in Connecticut, but has studied in numerous places including Paris, Rome, Greece, and the Caribbean. 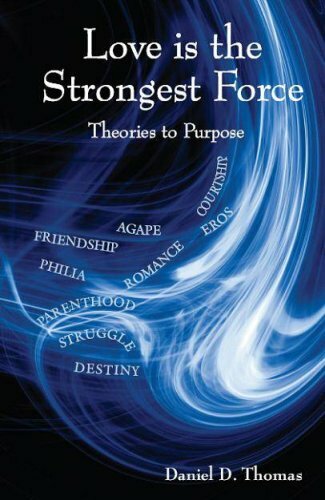 Daniel’s Theory is that “Love is the strongest force, and through it we find purpose.” The young author goes by his own personal saying “Live for the beauty in life, work for the better of the world”. Another title written by Daniel D. Thomas is his first book Prophecies of Life which takes us through the prophecies of an adolescent. Bat-Shachar, a teenaged girl, gifted with beauty and intellect, languishes in the household of her father, a prominent Israelite scholar. Intimidated by Bat-Shachar’s coming of age, her father grows aloof. He scrutinizes her actions, and his discipline is heavy-handed. Her father’s rages drive Bat-Shachar from home. In the company of the family’s Canaanite maidservant, Bat-Shachar happens upon pagan rituals. The visions she sees shake her to the core of her existence. Tzuriel is a metalworking apprentice. Upon seeing the agony of his people butchered by marauders, he vows to equip his nation for battle. After infiltrating enemy territory to acquire the forbidden skills of crafting iron weapons, Tzuriel faces an awesome fate, borne of a fleeting indiscretion. The paths of Bat-Shachar and Tzuriel intertwine when they are expelled from their tribal villages. They race towards a city of refuge as bloodthirsty enemies pursue them relentlessly. 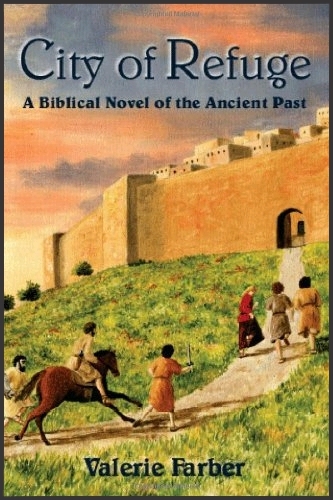 City of Refuge is set in the early years of Israelite nationhood. The tale of love, death, and vengeance captures a reader’s attention at the outset and does not relinquish it until the final page. In the literary tradition of Young Detectives like Nancy Drew and The Hardy Boys, author Bill Edwards has written two exciting stories of mystery and lost treasure. Both are fast-moving thrillers, with likeable young characters, intricate mysteries, and lively, suspenseful plots. In The Thundergods’ Gold, brother and sister Rick and Teri turn prospectors to search for the Lost Dutchman Mine in the lonely Superstition Mountains of Arizona. On the Apache Trail, they are stalked and menaced by a deadly gang of criminals who caused their father’s death, and are ready to kill again. Ghosts of two ancient tribes—one Native American and one fabled to be from Europe—also cast their eerie shadows over the story. 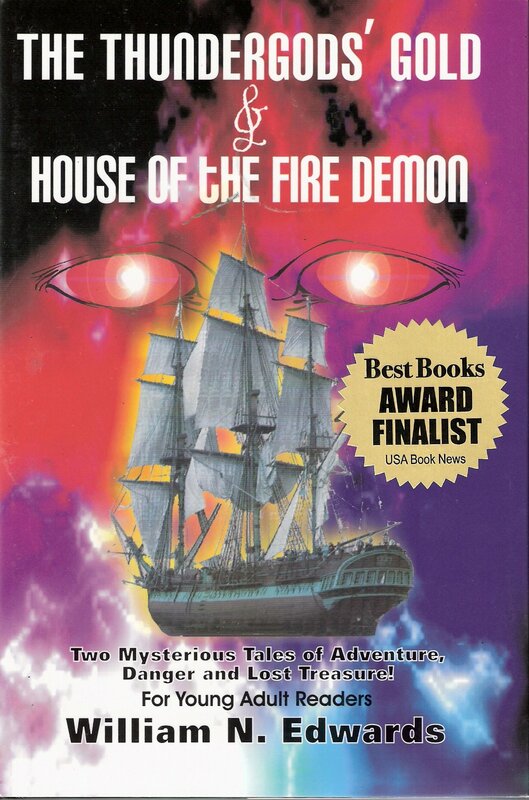 House of the Fire Demon follows long-time friends Mike and Shari as they turn teenage detectives to solve a decades long puzzle of a cursed old house and right a wrong done to innocent early immigrants to San Francisco. To do so, they must brave the wrath of the terrifying Fire Demon, the ghost of an evil sea captain, along the rugged and treacherous coast of Northern California. Everyone has the intellectual capacity to understand Einstein’s Special Theory of Relativity. Experience gained from the day’s event will always be there, which is good. But, a theory such as Einstein’s Special Theory of Relativity, opens our eyes before the event happens, which is better. The civilized world, especially the growing child should know and understand the structure of an event appearing as a theory. The Fourth Dimension should be learned as early as possible. This vital, new subject should be added to the school’s curriculum for the sole purpose of teaching students to think before they act. 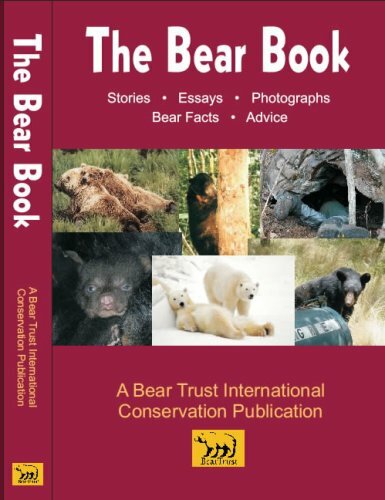 In this publication Professor Tietz has woven the pleasant, rewarding, and even painful aspects of his life into a very readable and fascinating account of his life, that readers will enjoy. Professor Tietz, an icon in the field of Clinical Chemistry has made outstanding contributions as scientist, author, editor, and educator. He reports on his various fascinating lecture and vacation trips to 21 different foreign countries. 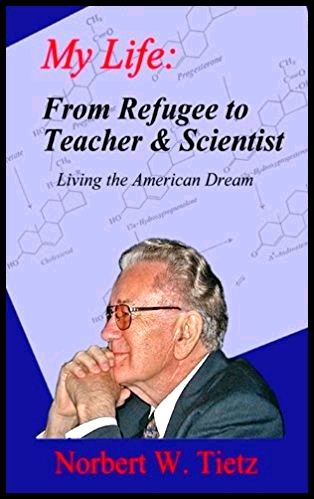 One of his greatest accomplishments is the Textbook Fundamentals of Clinical Chemistry which is often affectionately referred to as the bible of Clinical Chemistry. Dr. Tietz also describes his extraordinary life as accomplished Farm hand, equestrian, Mountain hiker and climber, track and field champion, skier, Fraternity leader and world traveler as well as his experiences as glider pilot, POW and refugee. They’re a proud group of Americans, but they don’t draw attention to themselves. They meet monthly to share memories, friendship and to reminisce. They’re from all over our country and beyond, and from all walks of life. Unless we look closely and engage them, we won’t understand what they’ve done for our country and for the world at a critical time…when we needed them most. Even today, as the most senior of our citizens, this group of World War II veterans, from all branches of service, represents the best of what America has to offer. 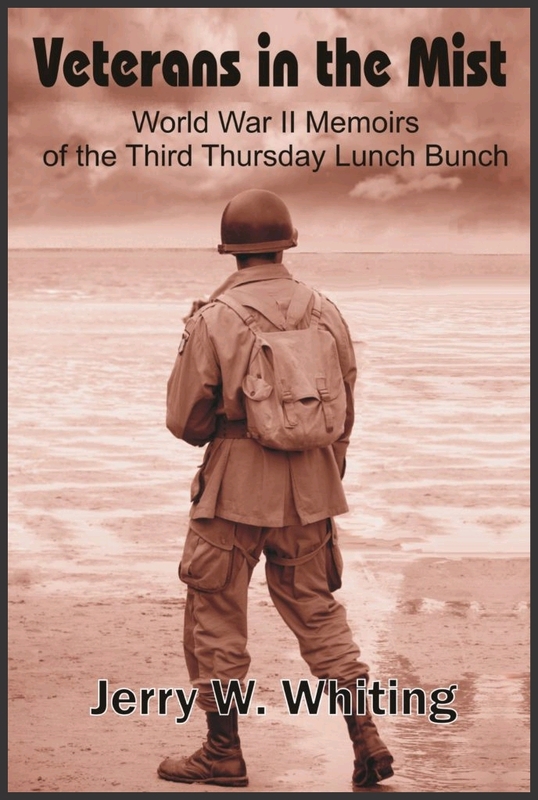 Collectively, with affection, admiration and respect, we call them “The Third Thursday Lunch Bunch.” Here are a few of their stories, glimpses into their war. time experiences, but a brief portion of their lives, which have profoundly impacted them, us and the world. Well done, men. Carry on. Have you ever stopped to wonder how the universe can go on forever? How once upon a time there was nothingness and yet everything that now exists was somehow created out of that nothingness? Have you ever wondered if there’s a master designer – God, the universe, the Force, or whatever you’d like to call it – that made everything? And if this ultimate being made everything, then who made him? And then there’s the smaller stuff: How does our brain work? Why are we so different from animals – or are we? Do gender differences really matter? Why is there war? What will happen to humans if we destroy our environment? What happens when we die? 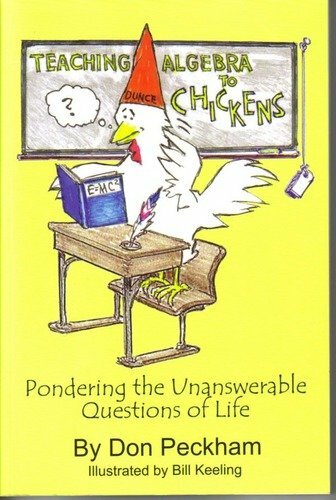 The fact is that life is filled with endless unanswerable questions, but that doesn’t mean we shouldn’t ask them. Join author Don Peckham as he ponders those things in life that defy explanation and the things that seem beyond our comprehension. While we think we may know the answers, Don will challenge you to look past those beliefs that you readily accept and question their validity. We may not be able to answer every question that life raises any better than a chicken can learn algebra, but we can open our awareness to a place of wonder and respect for the unanswerable.